A pet owner's treat! This all-natural chew helps you maintain your dog's oral care with ease. 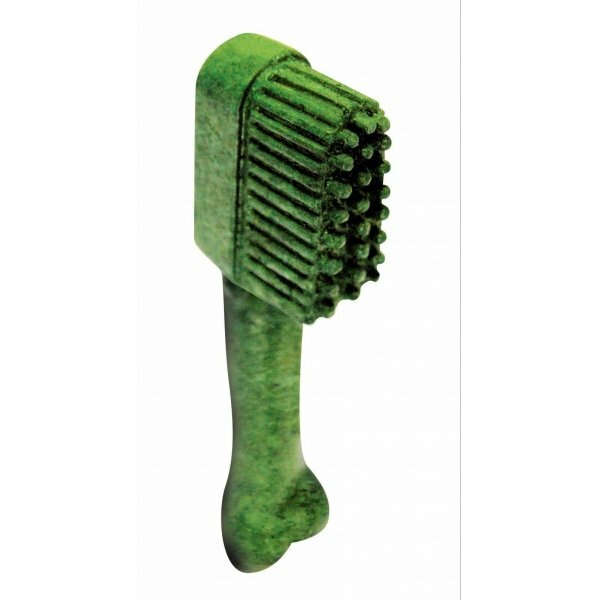 The toothbrush-shaped edible chew attracts your pooch with its irresistible baked-in flavor, helping clean teeth. Nutri Dent Edible Dental Brush Chews has different options and/or variations, please choose below. A pet owner's treat! This all-natural chew helps you maintain your dog's oral care with ease. The toothbrush-shaped edible chew attracts your pooch with its irresistible baked-in flavor, helping clean teeth and control tarter and plaque with every nibble. The resealable pouch helps keep the 12 included chews fresh and tasty. Recommended for dogs up to 15 lbs. Recommended for dogs up to 30 lbs. Recommended for dogs up to 50 lbs. Recommended for dogs over 50 lbs. Now, the health benefits dogs need-plus the flavorthey love, nutri dent has two breakthrough innovations: revolutionary 360 .Wheat Starch, Glycerin, Cellulose, Lecithin, Natural Flavor, Chlorophyll, And Parsley. No Plastic. No Added Sugar Or Salt. Fully Edible And Easily Digested. No Preservatives, Artificial Colors, Or Artificial Flavors. Package Of 12. Size: Small. Now, the health benefits dogs need-plus the flavorthey love, nutri dent has two breakthrough innovations: revolutionary 360 .Wheat Starch, Glycerin, Cellulose, Lecithin, Natural Flavor, Cholrophyll, And Parsley. No Plastic. No Added Sugar Or Salt. No Presevatives, Artificial Flavors, Or Artificial Colors. Fully Edible And Easily Digested. Package Of Eight. Size: Medium.